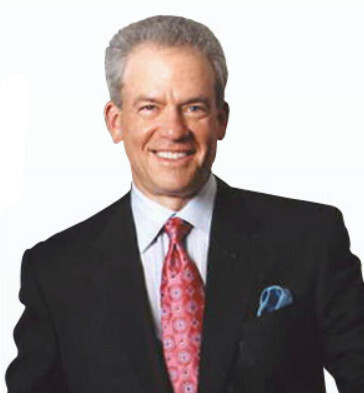 Dr. Stephen R. Kay is a native of Washington, DC and has been practicing cosmetic plastic surgery for over 25 years. He performs a full range of cosmetic surgery procedures for the body, breasts and face. First and foremost when choosing a plastic surgeon, you want someone who can deliver on the enhanced look you envision. Dr. Kay has performed thousands of procedures over his career and creates very attractive results that his patients love. Dr. Kay believes that good communication is essential for excellent cosmetic surgery results. He’ll take the time to answer all your questions during your consultation and make sure that he knows exactly what you want to achieve through plastic surgery. Dr. Kay is committed to providing his patients with compassion and comprehensive support throughout the surgical process. The same is true for his staff members, who work closely with all patients to create the best possible cosmetic surgery experience. While the goal of cosmetic surgery is to make a physical change in your appearance, many of our patients look at their surgery as the first step toward a healthier and more active lifestyle. Dr. Kay supports his patients in their total health and wellness. He is happy to provide ongoing skincare advice and recommendations for healthier living including nutrition, personal training and much more. Dr. Kay is proud to be a board-certified plastic surgeon, meaning that he has met stringent certification and training requirements within the field of plastic surgery. His specialized training and surgical experience allow him to customize each procedure for the unique needs of each patient. Dr. Kay’s many professional recommendations include Castle Connolly Top Doctors, the US News & World Report List of Maryland’s Best Plastic Surgeons, and Washingtonian Magazine List of Top Plastic Surgeons. Castle Connolly is an independent resource known for identifying Top Doctors nationwide. Dr. Kay is a graduate of Cornell University Medical College and trained in General Surgery at New York Hospital – Cornell Medical Center and Memorial Sloan Kettering Cancer Center in Manhattan. Following residency training in Plastic Surgery at the University of Miami, he was selected for the prestigious fellowship in Facial Plastic Surgery with Dr. Paul Tessier in Paris, France. Dr. Kay is certified by the American Board of Plastic Surgery and his areas of specialization include cosmetic facial rejuvenation, breast and body re-contouring. He has lectured, authored articles, and contributed to books on Cosmetic Plastic Surgery. His current hospital and out-patient facility privileges include Sibley Memorial Hospital, Suburban Hospital, and The Surgery Center of Chevy Chase.